Roth Audio OLi2 review | What Hi-Fi? 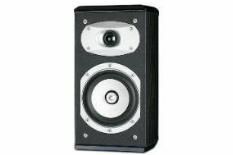 The world's not short of small, inexpensive loudspeakers. but finding such units that are a worthwhile improvement on the ones that came with your micro-system isn't quite so easy. At 32cm high and 22cm deep, the Roth OLi2s look a more grown-up proposition than their smaller siblings, the OLi1s, and the larger (5.25in) mid/bass driver and additional £50 on the price ticket would seem to confirm it. Where build and finish are concerned, these 2s again mimic their predecessors, being a straightforward wood-effect and as sturdy and well-built as any of their price-comparable rivals. Test them with U2's No Line on the Horizon and the most compelling aspect of the Roths' performance is their tremendous midrange articulacy. Voices and instruments flow easily from the OLi2s, granting Bono's bombast some much-needed vulnerability and imbuing the band's sometimes stodgy tempos with snap and drive. Low-level dynamics are equally impressive: where these disciplines are concerned, the Roths are a match for any competitor. Either side of the midrange, though, the OLi2s seem to suffer from a lack of evenness. Like the 'tilt' control on old Quad amplifiers – which would back off one end of the frequency range as the other became more pronounced (and thus pivoted the sound around the midrange) – the Roths have too much confidence in the treble, and not enough in the bass. This sonic overbite is apparent even when the OLi2s are positioned hard against a back wall. If the source machines are unsympathetic, the result is a sound altogether too strident and lacking gravitas.